The hull was launched at Nauta in Gdansk on 21 February 2017. Partly outfitted hull of a pelagic fishing vessel, one of the most powerful of its kind in the world, was launched on 21 February 2017 in Poland. 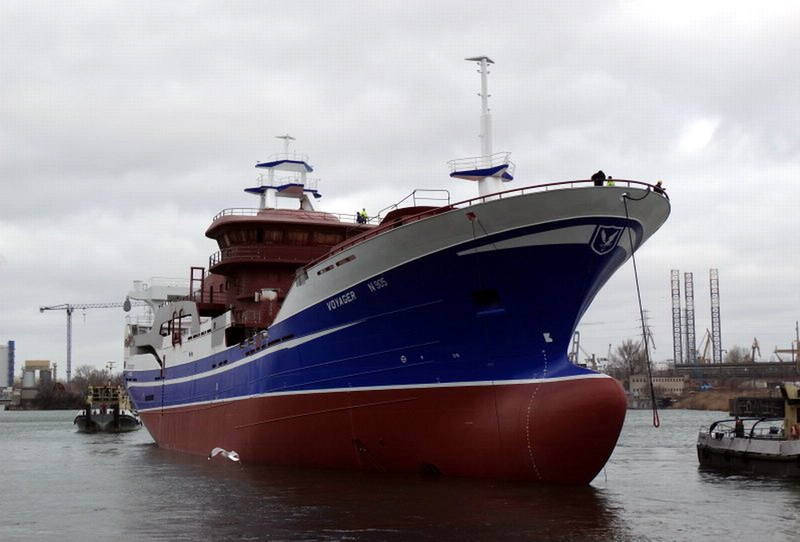 Designed by Salt Ship Design and due to be completed by Karstensens Skibsværft in Skagen, the new Voyager was launched at the newbuilding division of the Nauta Shiprepair Yard in Gdańsk. Upon completion, the Danish yard will deliver the vessel to the Voyager Fishing Company, Ltd., based in Kilkeel, Northern Ireland in August 2017. Voyager has an overall length of 86.40 metres and a beam of 17.80 metres, with a tank capacity of 3200 cubic metres. According to the yard, a vessel such as this requires to have plenty of available power to cope with the challenging conditions of the North Atlantic, while its fishing capacity will be boosted by a propulsion package that incorporates a propeller running at low revolutions for quiet operation. 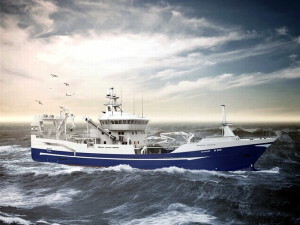 A computer rendering of the Voyager pelagic trawler. The newbuilding will be powered by a propulsion package comprising a MAN 12V32/44CR main engine, a 4,400-mm ø MAN Alpha VBS 1100 propeller, a two-speed RENK Type RSVL1000 gearbox, and an Alphatronic AT3000 remote control system. MAN Diesel & Turbo reports that this order is its first for a 12V32/44CR type with a power rating of 7,200 kW, making it the hitherto most powerful model the company has delivered to the pelagic fishery market. The new Voyager will catch fish in the North Atlantic in an area known for its challenging weather, a primary reason behind the owner ordering such a powerful engine with such a large bollard pull. 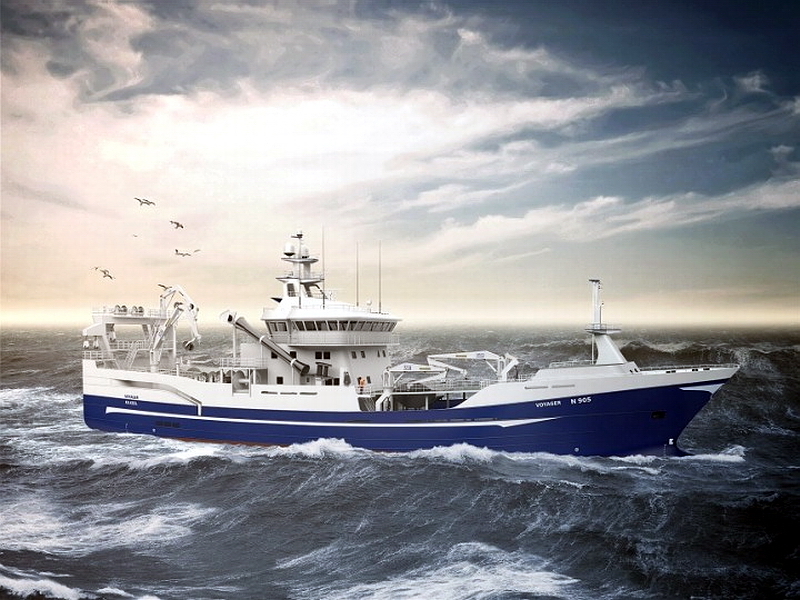 Karstensens have already ordered seventeen fishing vessels part-built at the Nauta yard. There are currently ten fishing vessels, including one to be fully completed, are being built at the Nauta Shiprepair Yard’s newbuilding division, and most of these are due to be completed in Skagen by Karstensens.